Well, Citizens. It’s election day! I am voting for running trails in the woods this afternoon. Either I can go home, sit on the couch, TV remote in hand, with a big ol’ jgreasy cheezburger and fries in front of me or I can slap my stinkin’ trailies on my gnarly feet and pound dirt. Hmmm, choice is obvious. Trails win!!! So perform your civic duty. 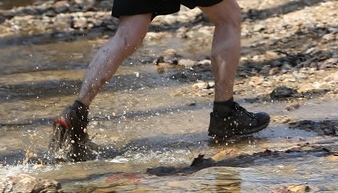 Vote for Muddy Shoes and then come out and hit the trails with us at Needwood! Its the right cho…ice.